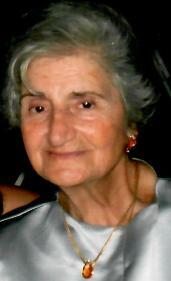 Mrs. Lucy (nee Criscitiello) Stancati, 98, of Brick, NJ, formerly of Fanwood and Mountainside, passed away on Tuesday, September 11, 2018 at her home surrounded by her loving family. The funeral will be conducted from the Galante Funeral Home, 2800 Morris Avenue, Union on Friday, September 14 at 9:45 a.m. There will be a Funeral Mass celebrated at Our Lady of Lourdes of Church, Mountainside, at 11:00 a.m. The entombment will be at Hollywood Memorial Park Chapel Mausoleum, Union. Visitation will be on Thursday, September 13 from 3:00 to 7:00 p.m.
Lucy was born in Newark, NJ and resided in Fanwood and Mountainside before moving to Brick 34 years ago. She was a mother figure to many, and a homemaker who devoted her life to caring about her large circle of family and friends. She loved nothing more than a table full of loved ones gathering to share a meal she cooked for them. She is survived by her beloved grandchildren Andrea, Laura, Mark and Matthew; her nine cherished great-grandchildren; her four precious great-great-grandchildren; her loving sister Theresa Badala, and her loving brothers Tom, Frank, Anthony and Sam Criscitiello. Lucy is predeceased by her husband James Stancati, her children Nicholas Stancati and Antoinette Gibson, her parents Frank and Antoinette (nee Bruno) Criscitiello, and her brothers Angelo, Arnold and John Criscitiello.